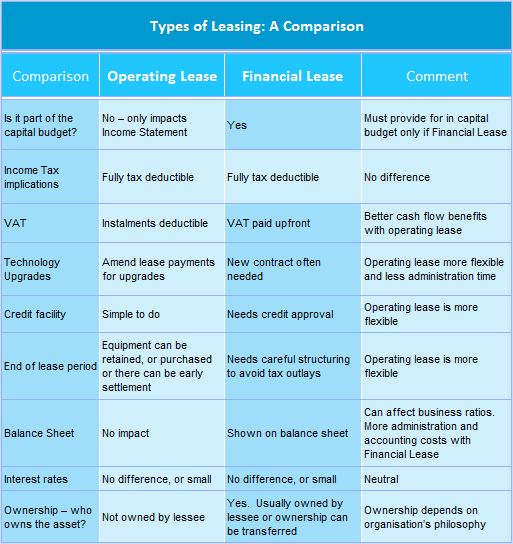 Leasing: How Can It Help Your Cash Flow? VDP, SARS And Exchange Control – Good News Ahead? You have a senior manager who is deemed to be a “prescribed officer” – in other words a senior employee deemed by the Companies Act to have the duties, responsibilities and liabilities of a director. You discuss with him that your company needs a sizeable loan. He tells you his wife raises loans for businesses and gets excellent interest rates and terms. You tell him to see what sort of loan his wife can find for the business. A couple of weeks later you are signing for the loan you wanted. The interest rate is reasonable and it is for more than the amount of finance your business requires. You are happy. A few weeks later you notice your manager is driving a new luxury car. That strikes you as odd as you know on his salary he would struggle to pay for a premium car. A few weeks later you are having drinks with a friend who tells you that the loans department at a certain bank have an unethical reputation. You relook at your loan documentation – it is from that bank. Now feeling uneasy you phone the bank and ask if your manager or his wife received a benefit for negotiating your company’s loan. Yes, the bank tells you a commission was paid to the manager’s wife. When you confront the manager and demand that the commission received for the loan be paid into the company’s bank account, he is puzzled and then angry. The company got the loan it required at a good interest rate. There was no fraud involved and the company had suffered no financial loss. So the manager feels he has done nothing wrong. One of the manager’s duties as a prescribed officer is to familiarise himself with the Companies Act. The Act is specific about conflicts of interest. No director or prescribed officer can receive a benefit (or any person related to such person) from an agreement that is material to the business involved. It is important to note that the company doesn’t have to suffer a financial loss. Even more important to the framers of the Companies Act is the onus on a director (or deemed director) to always act only in the interests of the business he/she works in. There is also precedent in common law for dealing with directors making “secret profits”. To quote from a famous English judgment (often cited with approval by our courts), the liability of a director or prescribed officer to account for any profit obtained“…in no way depends on fraud, or absence of bona fides …… The liability arises from the mere fact of a profit having, in the stated circumstances, been made. The profiteer, however honest and well intentioned, cannot escape the risk of being called upon to account." In terms of the remedies available, the board of directors is entitled to void the deal or it may ratify the transaction and have the commission paid into the business. Alternatively, it may sue the offending party (in this case your senior manager) for the benefit that was received. In essence, any “secret profits” belong to the company. What should your manager have done? Your manager is obliged by the Act to disclose to the board of directors the contents of the transaction and the benefit he or his wife stand to receive. He is not allowed to be present when the board considers the matter. Make sure all relevant senior managers understand the Companies Act. It is better to be conservative and report any conflicts or potential conflicts even if they appear trivial. Mistrust can severely damage an organisation. Small businesses (SMEs) often have cash flow difficulties. Leasing an asset as opposed to paying cash for it is one option to improve cash flow – a movable asset can be financed for several years. We often speak about them but what are they? There are substantial differences between the two and it is worth taking advice from your accountant, particularly as he/she will ultimately decide how to treat the lease in your financial statements. There are some important issues here such as ownership of the asset (is it important to the business? ), getting access to credit and the administrative impact on your organisation, cost (interest rate but be careful of the amount of other charges the financial institution may levy, such as administration costs) and the way your financials will look to the bank and any potential investors. Both types offer cash flow benefits but differences such as tax treatment do give operating leases a cash flow edge. Ultimately it will depend on what kind of lease best suits your business. It is also possible to look at this process from the opposite angle - a business may, for example, produce a costly asset. In this case, your business may lose sales as smaller customers cannot afford the purchase price. They may, however, be able to pay a monthly lease, in which case a financial institution will be able to structure a lease to these smaller customers. Consider recommending this when making sales to smaller customers. Leasing is a useful tool which can be used to enhance a business. SARS are unaware of undisclosed accounts you have – if you have undisclosed off shore assets, seriously consider entering the VDP as more and more tax havens are disclosing names (including trusts) to SARS. SARS levies a 10% penalty plus a late submission penalty (this is subject to a maximum of R16 000). Proposed new tax legislation will eliminate the 10% penalty. The other disincentive for residents normalising their affairs is the high penalties imposed by Exchange Control on the off-shore amounts. This can be as much as 30% of the value of these funds. Exchange Control is reportedly considering offering amnesty to residents to encourage them to declare undisclosed off shore assets. This will be a significant step and let’s see how it develops. There is no doubt that in terms of being part of the global economy, South Africa has lost ground over the past two years or so. The currency is near an all time low and the stories in the global media have turned negative - from success story to a failing economy and a nation facing growing corruption. The Organisation for Economic Cooperation and Development (OECD) is a credible organisation which, inter alia, seeks to assist its members by independently reviewing the socio-economic outlook of its member countries plus the outlook for economies which its members trade with. Recently, it released an outlook for South Africa. It is hard to dispute its logic. As with many other studies, its major finding is the country has major unemployment (officially 25% but 37% if you include the people who have given up looking for work) and the high inequality that exists in the country. So, the first problem to solve is how to create inclusive growth which creates jobs. Their first statistic was that even though small business only employs about 20% of the economic workforce, they create 42% of new jobs in an economy. Thus, the starting point is how do you encourage the growth of small businesses? Relaxing regulations can kick start this. Onerous labour laws should not apply to small business, taxes should be simplified (to be fair SARS has already begun this process) plus the impact of laws should be objectively measured – for example, the hoops business has to go through to employ foreign skilled people. Next, South Africa has a code to redistribute resources to the previously discriminated against – Broad Based Black Economic Empowerment. Why not use this to build up a nation of small black owned businesses? The OECD also looked at other facets of the economy. Government-owned businesses (Eskom, SAA) need more governance and less operating power – the distribution of power, for example, should be given to a body independent of Eskom. Within government and the businesses it controls there is a lack of coordination which results in confusion and poor service delivery. A ranking of all its projects and investments would show which programs to back, where to allocate resources and would improve service delivery. Investment in infrastructure is a key process in securing long term growth. The economy should encourage more competition in all sectors. One good idea was to have the government launch a national portal for jobs. This process is in fact now being rolled out and should save time and resources for both employers and for job seekers. In terms of labour relations, the OECD suggests that both employers and unions accept a mediation process once negotiations break down. This would save considerable down time and loss of wages. This is particularly important as research has shown there is a negligible difference in wage outcomes when increases are swiftly agreed upon versus protracted strikes and labour unrest. On taxes, the survey suggests fewer tax deductions for individuals and companies, an increase in the rate of personal income tax at the higher levels, higher property taxes and broadening of the VAT system. The framework is already there! Finally, the OECD comments that the National Development Plan (NDP) produced under the stewardship of Trevor Manuel envisages all of the above. Government has committed to the NDP – now is the time to implement it. There are no significant deadlines for September other than the 30 September deadline for submission of manual/postal returns. Don’t forget the EMP501 for the period 1 March to end August is due on 30 October. As this needs to be accurate to avoid penalties don’t put yourself under pressure, rather start it now.